with order books opening in November this year. many advantages over competing gasoline outboards. crankshaft than the leading gasoline 300hp outboards and is 60% higher compared to a leading 350hp. emissions legislation and other environmental regulations in this sector. 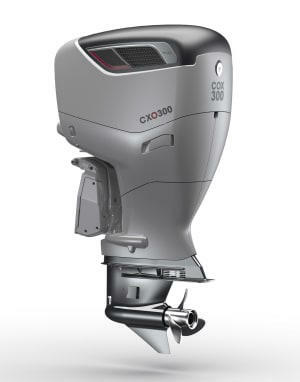 Sea trials of the CXO300 will commence in October this year and order books will open in November. The engine will go into full production in Q2 2019. Seawork International. Demonstrations of the final concept CXO300 will be given via an interactive app. A copy of the final technical specification is also available on the stand to take away.